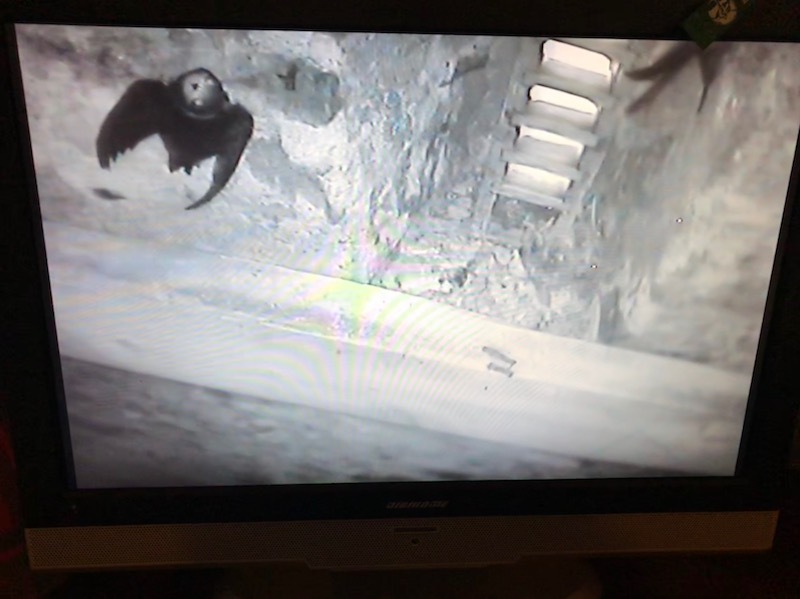 Over the last few weeks, we at Aigas have been keeping an eye on a swift (apus apus) nest that is in the attic of the main house. 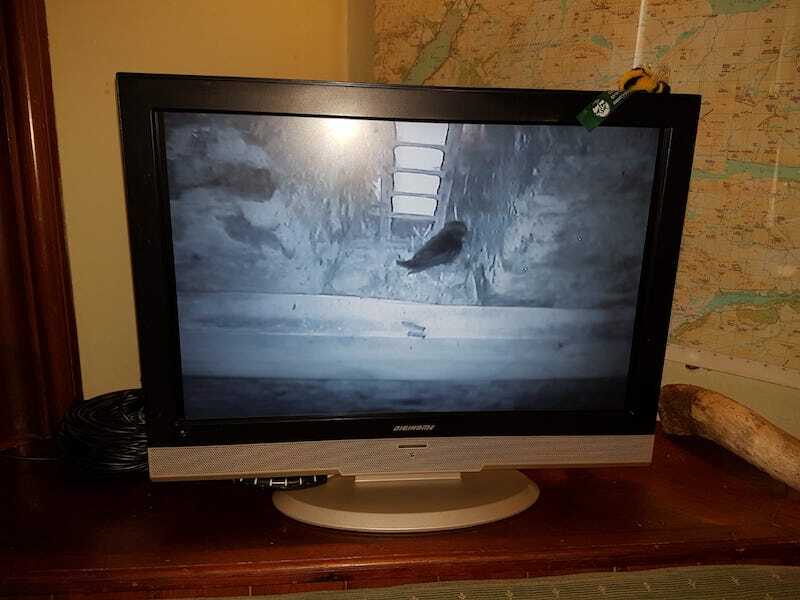 We’ve been doing so via a webcam situated above the nest. We’ve watched a pair of adults lay eggs, incubate them and the chicks hatching out. Two chicks have been growing well, fed regularly by the adults. The time from hatching to fledging is usually six weeks, however, after only 3 – 4 weeks, one of the chicks had vanished! It was too early for it to have fledged (it didn’t have the necessary flight feathers) so it must have fallen from the nest! Two of our rangers ventured into the attic and found it sitting patiently on the floor waiting to be returned to the safety of the nest. The next day, the chick managed to fall into a deep crevice in the attic wall. Several rangers attempted to reach it, but the hole was just too deep, and it had shuffled under a neighbouring wall. Thinking that we couldn’t do anything to help the chick, we focused on covering the crevice so that the other chick couldn’t follow suit. We did leave a hole for the fallen chick, in the off chance it could climb out, but we didn’t get our hopes up. The following morning, we were proved wrong. Two chicks were sitting on the nest, quite happily. Since then, the chicks have been taking short flights, either around the confines of the attic or outside. This is unusual behaviour for swift chicks. Usually once they have flown from the nest, they do not return. However, in some colonies it has been recorded that they return to the nest for a week or two before they leave for good. Our swift chicks seem to have done the latter. 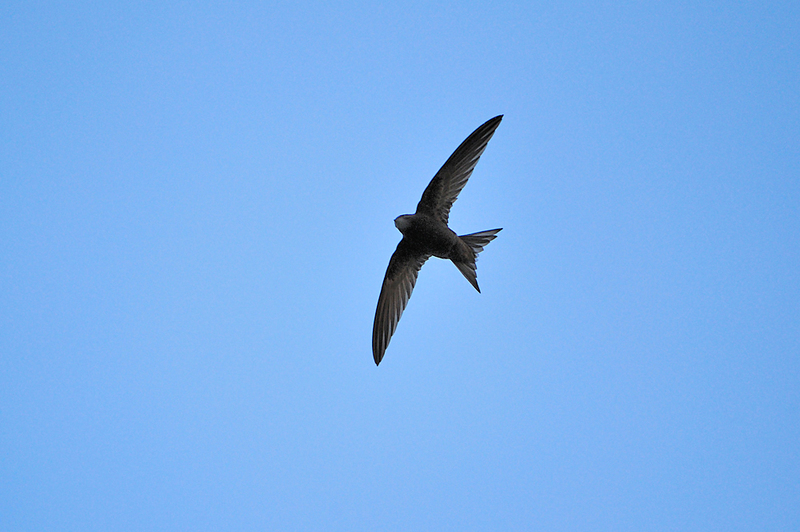 It seems that they have now flown for good; we haven’t seen them for a day or two. They will be starting their autumn migration which will take them down through France, Spain and on into Africa. Hopefully we’ll see them again next year! Words by Alison Tait. Main image by Laurie Campbell, all others by Aigas staff. Lovely to hear the chicks have fledged!